I forgot to take a picture of the backside, here you can see a little. 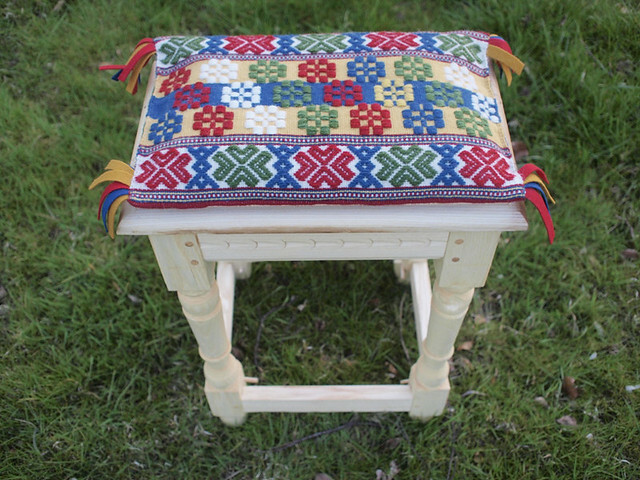 It looks great, the stool as well as the cushion! I see that your husband is as talented as you! 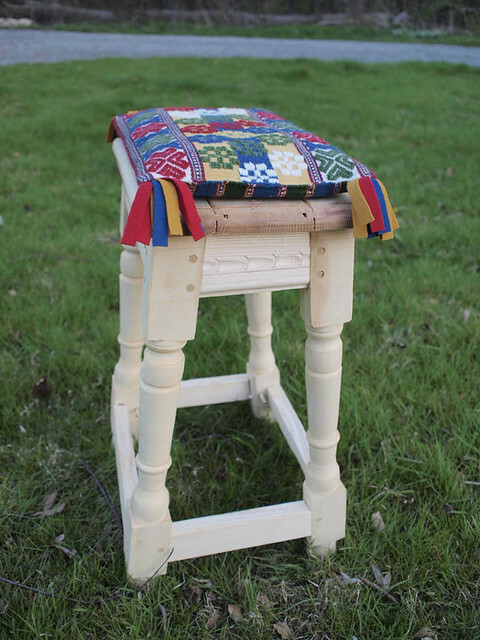 What a fine stool that is!! 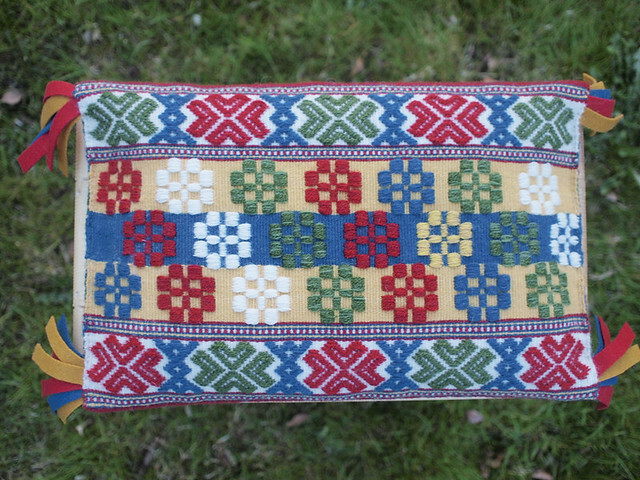 And the cushion is amazing…. I love the wool strip tassels on the corners, they finish it beautifully. Thank you! My husband is truly talented – he just learns everything himself without going to school or any courses. Tassels are one of the traditional ways here in southern Sweden to finish cushions. what a thoughtful, precious gift, those tassels are a wonderful finishing touch. Thank you, Jean.My father in law looked very touched when he saw it all. Tassels are one of the traditional ways to finish a cushion here, In old cushions I’ve seen they sewed in the corners all kinds of leftover bits and pieces – pretty cloth stripes, silk ribbons. Can’t believe you can both make such totally beautifully things. What a talented couple you are! So impressive!! Thank you very much for your kind and supportive words! You can tell that there were two artists at work. I would not mind to be your father in law…. Thank you! I have seen you’ve been busy being artist yourself! Hej Magda! Tack! Du får också ha fin sommar! Remarkable work! A wonderful joint project.